Born in Riverside, California Joseph “El Tigre” Landeros is the son of Mexican parents who made it a priority to instill family and life values in their children from birth. Values that included honesty, determination, pride, love and consideration for others. These core values helped 16 year old Joseph become the young man he is today. 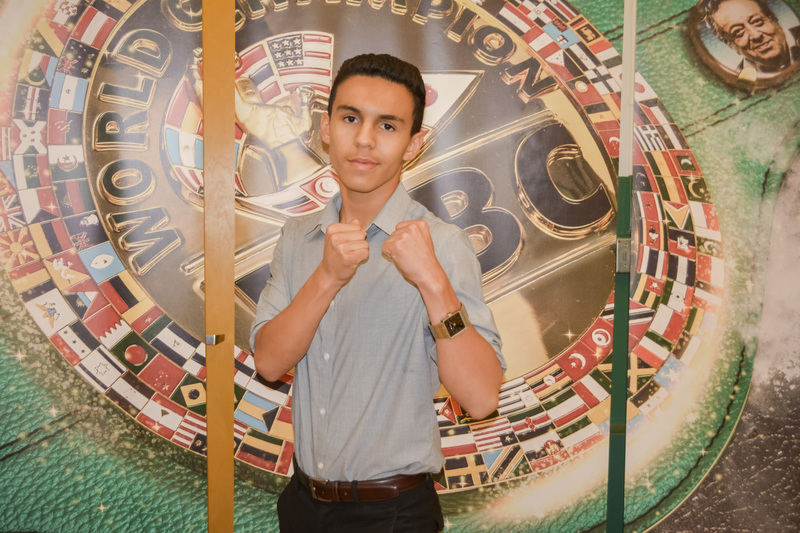 Joseph is an Honor Roll Student at Martin Luther King High School in Riverside, California and is currently one of California’s youngest professional boxers with an unblemished record of (12-0, 12 KO’s). Joseph began boxing at a very young age but couldn’t begin fighting as an amateur until he turned eight. Throughout his amateur career Joseph gained prominence by becoming a 3x Champion of the Bi-national Games. A competition between the best amateur boxers in Mexico and United States. Along with his Bi-national championships Joseph also won multiple amateur regional, and national tournaments. In 2017 as a professional Joseph was named LATV World Class Boxing’s – Boxer of the Year. When not training for upcoming bouts or studying for school Joseph has been afforded the opportunity to commentate boxing matches, star in nationally televised commercials and has made guest appearances on local Southern California television and radio programs. Outside of the ring Joseph is a pillar of the community and an avid Philanthropist working with children suffering from terminal diseases, disabled US Veterans and the homeless. This Saturday Joseph “El Tigre” Landeros has been invited by Mr. Adalberto Sánchez, Director of the Municipal Sports Institute to give a 90 minute lecture on his success to students and young men from the Tijuana Municipal Sports Center. Opening up the lecture will be Woodie Landeros, older brother to Joseph Landeros who himself is a very successful young man, working in Commercial Real Estate. Woodie will introduce Joseph and give an in-depth personal profile on him to audience. Joseph will lecture on the following topics followed by a short question and answer period. Is there a perfect time to look for success? Is success a goal or a road?